A common theme that ran through the 50th Session of the UN Statistical Commission, March 2019, was the often tense interface between data and policy-making and the asymmetrical power dynamics that shape it. This was evident in the several reports submitted for consideration by the Commission. One from the UN Statistics Division (UNSD) reported on the federated system of data hubs, designed to integrate new data sources into a platform which is accessible to National Statistics Offices (NSOs) and creates comparable data among users. Another was a proposal by the High-Level Group for Partnership, Cooperation, and Capacity Building for the 2030 Agenda for Sustainable Development for a UN Chief Statistician to enhance the voice of statistics in UN policy processes. Under the motto "Imagining Gani", Social Watch Philippines gave tribute last March 11 to Isagani Serrano, who passed away last February 22nd. Gani was a Co-Convenor of Social Watch Philippines and a contributor to the national Social Watch reports for several years. He was president of the Philippine Rural Reconstruction Movement (PRRM) and author of numerous papers and reports on climate and social justice. Roberto Bissio, from the international secretariat of Social Watch, contributed a personal testimony: "Guiding Gani through Montevideo at his first visit to my hometown was not an easy a task, as his curiosity was insatiable. He definitely had to visit the places where tango was born, and impressed me with his knowledge of the songs and biography of the legendary singer Carlos Gardel. And he insisted on visiting the old jail of Punta Carretas, then already transformed into a shopping center, out of which over a hundred political prisoners escaped in the early seventies through a tunnel. "That episode costed me six months of solitary confinement" remembered Gani to my surprise. In those times Gani was a prisoner himself in the Philippines "and when we heard the news of the tupamaros escaping, we started digging ourselves... but got caught!" The push for greater private sector involvement in the implementation of SDG 6, the Sustainable Development Goal on water, flies in the face of growing evidence that the privatization of water and sanitation has been detrimental, especially to the most marginalized and vulnerable communities in the world. Evidence shows that private investors have largely ignored the most underserved regions of the world while favouring more lucrative markets requiring less capital and promising greater returns. For instance, in Chile, where 95 percent of the water and sanitation services are in private hands, the State invested significant public funds in order to achieve extensive coverage before it was sold to private investors with the promise of a 7 percent return. Corporate utilities operating in Chile have not expanded networks outside profitable urban centres. 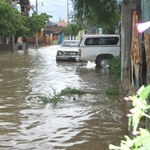 Peru was affected by natural disasters more than a year ago, when heavy rains and floods affected 21 of its 25 departments. As of May 2018, thousands of families still lived in tents and many schools and hospitals had not recovered completely. In fact, many families still have not recovered their houses, destroyed by an earthquake in 2007, more than ten years ago! Peru is part of the “Ring of Fire” around the Pacific Ocean, prone to earthquakes and volcanic activity. It is further vulnerable to the climate change-induced alterations in ocean currents, causing floods in the north of the country and drought in the south and centre. According to the report by Grupo Red de Economia Solidaria del Perú (GRESP) and the Intercontinental network for the promotion of social solidarity economy (Ripess) “lack of planning in the use of land for housing and criminal-led occupations of unsuitable terrain to set up slums make the problem worse.